Munich is known for museums, nature, parks, nightlife, and historic sites. Your plan includes some of its best attractions: make a trip to Marienplatz, get curious at Deutsches Museum, explore the world behind art at New Pinakothek, and see the interesting displays at Munich Residenz. To find traveler tips, more things to do, photos, and tourist information, you can read our Munich trip planner . Atlanta, USA to Munich is an approximately 12.5-hour flight. You can also do a combination of flight and train. The time zone changes from Eastern Standard Time to Central European Time, which is usually a 6 hour difference. Traveling from Atlanta in September, you will find days in Munich are a bit cooler (66°F), and nights are much colder (47°F). Wrap up your sightseeing on the 6th (Thu) early enough to drive to Hohenschwangau. On the 7th (Fri), explore the historical opulence of Schloss Hohenschwangau and then explore the historical opulence of Neuschwanstein Castle. For more things to do, reviews, where to stay, and more tourist information, read our Hohenschwangau sightseeing app . Traveling by car from Munich to Hohenschwangau takes 2 hours. Alternatively, you can take a train. In September in Hohenschwangau, expect temperatures between 63°F during the day and 46°F at night. Wrap up your sightseeing by early afternoon on the 7th (Fri) to allow time for the car ride to Rust. 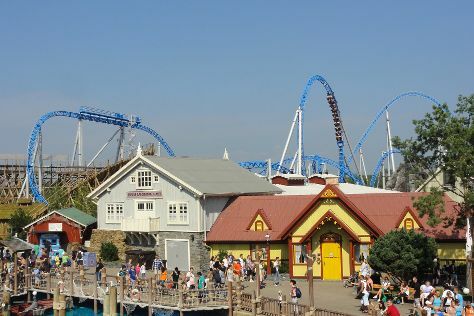 On the 8th (Sat), find something for the whole family at Europa-Park. For where to stay and other tourist information, read our Rust driving holiday planner. You can drive from Hohenschwangau to Rust in 4 hours. Other options are to take a train; or do a combination of train, flight, and bus. When traveling from Hohenschwangau in September, plan for a bit warmer days in Rust, with highs around 71°F, while nights are about the same with lows around 51°F. Wrap up your sightseeing on the 8th (Sat) to allow time to drive to Wurzburg. Explore Wurzburg's surroundings by going to Rothenburg (Rodertor, Spital Bastion, & more). 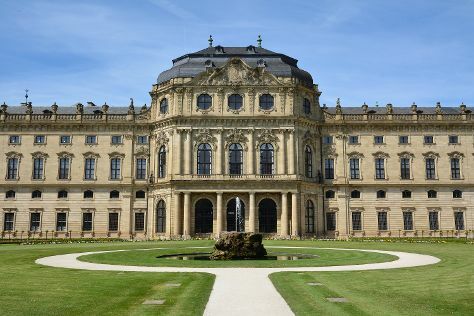 Next up on the itinerary: explore the historical opulence of Würzburg Residence, explore the galleries of Marienburg Fortress, take in the views from Alte Mainbruecke, and take in the spiritual surroundings of Stationsweg Nikolausberg. To see photos, ratings, more things to do, and other tourist information, go to the Wurzburg online travel route planner . Drive from Rust to Wurzburg in 3 hours. Alternatively, you can take a train; or take a bus. In September, plan for daily highs up to 67°F, and evening lows to 48°F. Wrap up your sightseeing on the 11th (Tue) early enough to take a train to Nuremberg. Nuremberg is known for historic sites, museums, shopping, zoos & aquariums, and nightlife. Your plan includes some of its best attractions: step into the grandiose world of Kaiserburg Nurnberg (Nuremberg Castle), contemplate the long history of Albrecht Durer House, don't miss a visit to St. Lorenz Church, and head outdoors with Wohrder Wiese. To find ratings, maps, traveler tips, and more tourist information, go to the Nuremberg trip planner . Getting from Wurzburg to Nuremberg by train takes about an hour. Other options: drive; or take a bus. In September, daytime highs in Nuremberg are 67°F, while nighttime lows are 48°F. Wrap up your sightseeing on the 15th (Sat) early enough to travel to Hamburg. Hamburg is known for museums, historic sites, nature, fun & games, and nightlife. 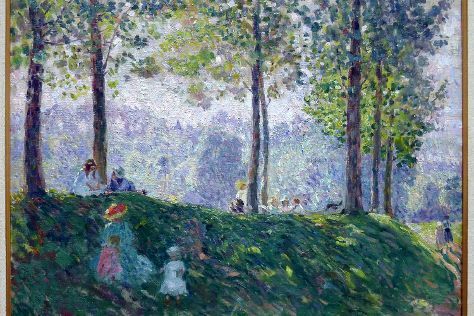 Your plan includes some of its best attractions: don't miss a visit to Miniatur Wunderland, admire the masterpieces at Hamburger Kunsthalle, take in the local highlights with Walking tours, and take in nature's colorful creations at Park Planten un Blomen. To find photos, traveler tips, ratings, and more tourist information, refer to the Hamburg trip planner . Traveling by flight from Nuremberg to Hamburg takes 3 hours. Alternatively, you can take a train; or drive. In September in Hamburg, expect temperatures between 66°F during the day and 51°F at night. Finish up your sightseeing early on the 19th (Wed) so you can catch the train to Berlin. Berlin is known for museums, historic sites, nightlife, parks, and shopping. 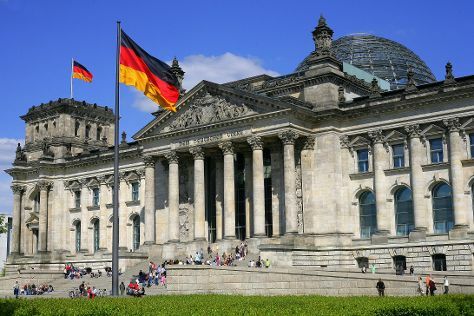 Your plan includes some of its best attractions: get a sense of history and politics at Reichstag Building, see the interesting displays at Pergamon Museum, get the lay of the land with Walking tours, and pause for some photo ops at The Holocaust Memorial - Memorial to the Murdered Jews of Europe. For photos, more things to do, traveler tips, and more tourist information, refer to the Berlin journey planning site . Getting from Hamburg to Berlin by train takes about 2 hours. Other options: drive; or take a bus. Finish your sightseeing early on the 24th (Mon) so you can take a train to Dresden. 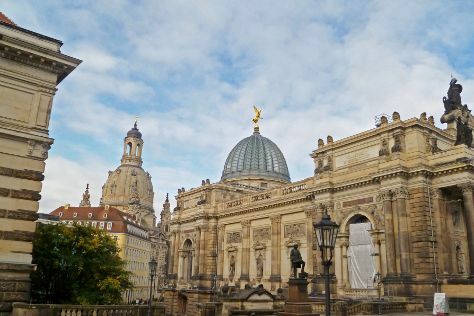 Dresden is known for historic sites, museums, nightlife, fun & games, and shopping. Your plan includes some of its best attractions: make a trip to Zwinger, look for gifts at Tradition & Form, take in the architecture and atmosphere at Sankt Martin Kirche, and see the interesting displays at Neues Grünes Gewölbe. For photos, more things to do, other places to visit, and tourist information, refer to the Dresden online tour planner . You can take a train from Berlin to Dresden in 2 hours. Alternatively, you can drive; or take a bus. Expect a daytime high around 66°F in September, and nighttime lows around 51°F. Finish your sightseeing early on the 29th (Sat) so you can travel to Cologne. Start off your visit on the 29th (Sat): steep yourself in history at Heinzelmaennchenbrunnen, then explore the world behind art at Wallraf-Richartz Museum, and then make a trip to Heumarkt. On your second day here, explore the world behind art at Museum Ludwig and then take in the spiritual surroundings of Cologne Cathedral. To find maps, photos, traveler tips, and other tourist information, read our Cologne route site . Fly from Dresden to Cologne in 3 hours. Alternatively, you can do a combination of flight and train; or drive. In September, daily temperatures in Cologne can reach 68°F, while at night they dip to 50°F. Finish up your sightseeing early on the 30th (Sun) so you can travel back home.